SB 57, authored by senators Bob Huff and Shannon Runner, would require local law enforcement to have an outstanding felony warrant for a person scheduled for deportation before seeking custody from federal immigration officials. The agency would also be required to confirm that prosecutors would pursue a felony charge. Juan Francisco Lopez-Sanchez, who has been deported to Mexico five times, allegedly shot Steinle in the back while she was walking with her father along Pier 14 in San Francisco on July 1. Prior to the shooting, Lopez-Sanchez was transferred from federal to local custody on a warrant in a marijuana case that was more than 20 years old. Prosecutors decided to drop the case, and Lopez-Sanchez was released from jail in March. 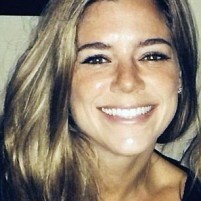 “He would have been deported back and not sent to San Francisco if this bill had been in place, which would have saved Kate’s life,” Runner said at a press conference Thursday. SB57 was approved Wednesday by the Senate Rules Committee. The bill would need to pass both houses of the legislature with a two-thirds vote because it contains a clause that would make the law take effect immediately. Sen. Cathleen Galgiana, a Democrat from Stockton, has joined as a co-author to the bill. This week, Lopez-Sanchez appeared in court for preliminary hearings in the murder case. A San Francisco judge continued the hearings and has yet to rule whether there is enough evidence to proceed with a murder trial. I am glad that the police were able to capture Juan Francisco Lopez-Sanchez. But holding criminals is racist if they are illegal from a latin american country. We all know that every single illegal is here because they were escaping murder in their home country and are only here to work and contribute and be American. You guys obviously didn’t know this, but he was shooting at homocidal sea lions in the water and “accidentally” hit this poor young woman in the process. I am sure Barbara Boxer and Dianne Feinstein will remind us that it is the gun’s fault here, not the illegal. No one has pointed out the irony of needing a law to prevent Federal Authorities from breaking existing laws? Immigration is a Federal jurisdiction, they have no business “transferring” detainees to those who have no jurisdiction. The government doesn’t care what the citizens want., it caters to the fat cats that grease their campaigns and they want cheap labor and an ever expanding consumer base for the crap they bring in to sell from China. They are all criminals, traitors, idiots or some combination of that. We are idiots for sure thinking that bitching is going to do anything. The Founding Fathers could still be bitching about Kiing George if they were like us.